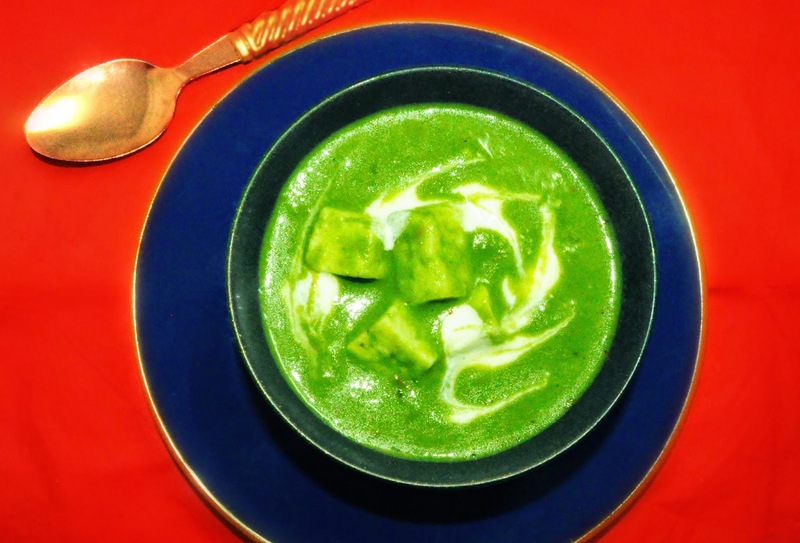 The recipe is a restaurant style Palak Paneer recipe which is thick, creamy and mildly spiced. 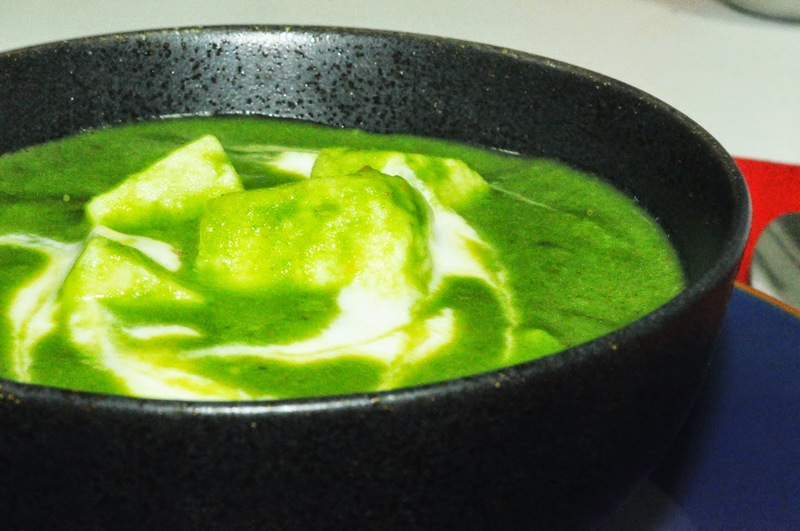 Switch off the flame, and garnish palak paneer with creamy yogurt. 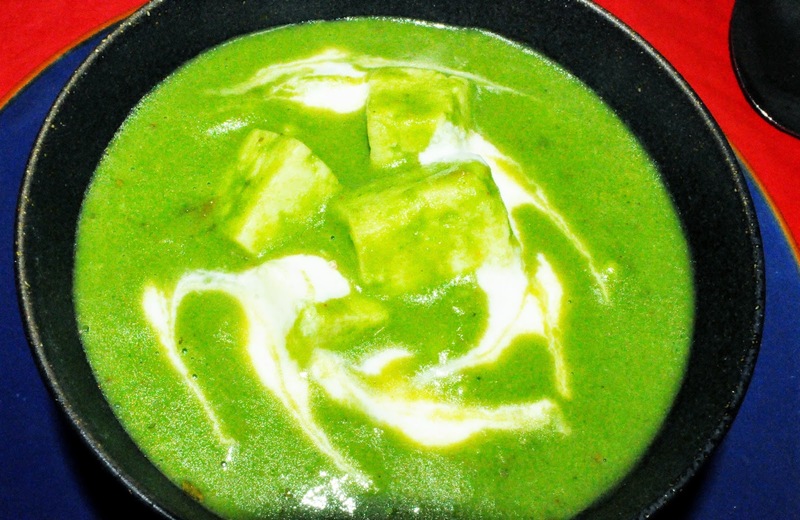 Palak paneer is ready to be served. The recipe is adapted from Spiceupthecurry site.